12 Dec Filed under Food, New Work, On Locations, Places, Restaurants, Seattle, Uncategorized. Bookmark the permalink. Leave a Trackback (URL). The “Tomato Soup ‘Fondue’ with Gruyere Grilled Cheese” at Seattle’s new RN74, located downtown on the corner of 4th and Pike, is melt in your mouth delicious and will warm you right up after a walk around the downtown holiday sites. Â Though the restaurant itself isn’t exactly my cup of tea (click on the image below to read the very accurate review), it’s worth stopping in just for this little treat. 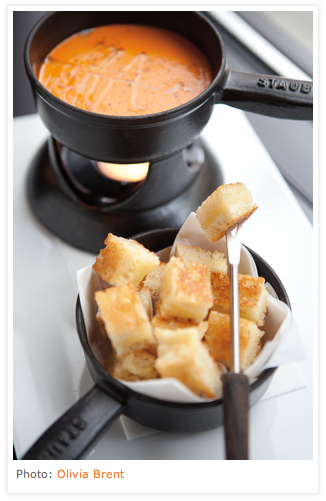 Â The buttery toasted bites are served with a fondue fork so that you can easily dip them in the rich tomato soup, the perfect one bite combination on a cold day. When you’re done at RN74, take a stroll over to Dahlia Bakery and pick up another great bite-size winter treat – chocolate truffle cookies. Make sure to look for the box of mini cookies that come dusted in powdered sugar (the larger version of the cookie is offered without the powdered sugar and is a bit too rich for my taste). Â These would be a great addition to a holiday get together, or as a last minute gift – their size makes them perfect for sharing! 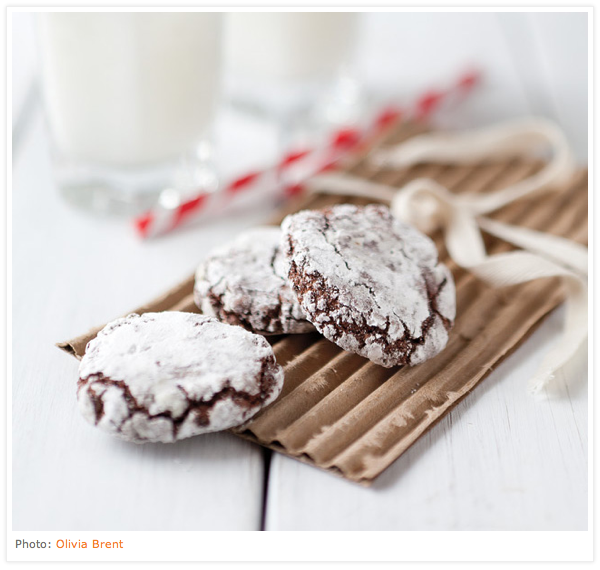 Â Check out these cookies and other local holiday treats by clicking on the cookie photo below.